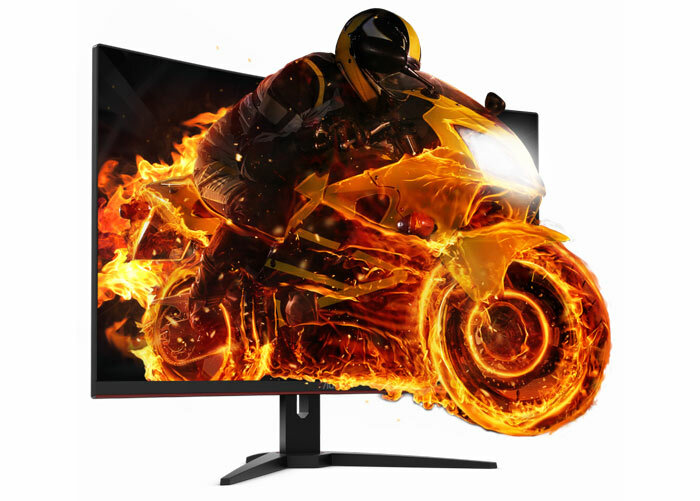 AOC has launched a trio of new gaming monitors to serve as the foundation of the new G1 Series. The AOC C24G1, C27G1 and C32G1 are all "aggressively curved" monitors ranging from 23.6 to 27 and 31.5-inch screen sizes. Highlights of the series that all these monitors have in common are; FHD VA panels offering deep blacks and vivid colours, FreeSync, 144Hz refresh, 1ms MPRT (Moving Picture Response Time), Low Input Lag, and wide viewing angles. The new G1 range are aimed at competitive gamers but still offer competitive prices. When you see the range you will be struck by the aggressive curvatures (1500R to 1800R) and the black with red accented designs. Giving the screens greater immersion and desk appeal is the three sided borderless design. All three monitors are AMD FreeSync compatible and Sync all the way up to 144Hz. AOC quotes "a fast response time of 1ms (1ms MPRT if desired; it can be adjusted to 4ms GtG)" which should minimise any motion blur. Furthermore the company boasts that the G1 Series has very low input lag, meaning that the actions of the users given by input devices translate into visual feedback without a noticeable latency caused by the monitor’s internal processing. As gaming monitors the trio of G1 designs come with AOC Game Colour, which are image curve options designed for certain gaming scenarios. Then there are AOC Game Modes Settings with pre-defined FPS, Racing, RTS modes - you can add your own too. Last but not least of the gaming enhancements is a crosshair mode dubbed AOC Dial Point. Not gaming specific but very welcome are the low blue light and flicker free technology present in the G1 Series. Connectivity is rather flexible with 2x HDMI, DisplayPort, and even VGA available for legacy display sources, plus a headphones output. The smaller C24G1 and C27G1 come with an ergonomic stand with 130 mm height adjustment and -35°/+35° swivel range. The stand for the C32G1 isn't detailed properly on the product specs page, which contains the C27G1 specs in error, at the time of writing. I think the largest of the monitors doesn't offer height adjustment, just tilt, with the supplied stand. 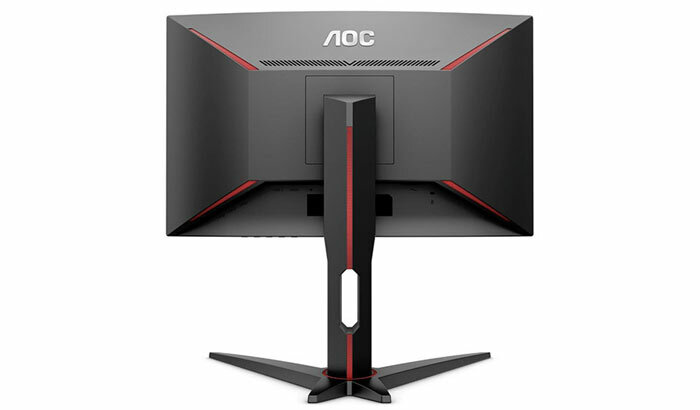 In its email to HEXUS, AOC said that the 23.6-inch curved C24G1 and the 27-inch curved C27G1 are going to be available in July 2018 with an MSRP of £179 and £219, respectively. The larger 32-inch curved C32G1 is expected to be available in August 2018, with an MSRP of £259. Mildly interesting if it wasn't for the fact they are all full HD. That's OK for a 24“ monitor, but not for a 27” and certainly not for a 32" monitor. Looks like they are designed to fit next to each other, so resolution is less of a problem - you do have to buy multiple monitors then though! I suppose the viewing distance may be further away than for a standard monitor, making the lower res less of an issue. You're operating these in multiples and as a result you need to keep the unit cost down and on top of that you need to be able to drive all 3 monitors at a decent frame rate.